2. Christian books are a great way to share the good news. 4. Church kids find it thrilling to find Christian characters in a ‘real’ story! 5. Christian fiction helps church children feel less marginalised. 6. Books written from a Christian perspective can be an eye-opener for non-church young people, and can bring hope. 7. Stories are much more exciting to read than straight information! 8. We are influenced by what we put into our minds; Christian books contain Christian values. 9. Books help readers think about spiritual and moral issues. 10. Christian characters can be inspiring in the way they win through in different situations. 11. Ideas that come up in stories help us to evaluate our own lives. 12. Modern Christian fiction is culturally relevant (and exciting!). 13. Young people can find out how Bible stories are applicable to their own lives. 14. Books make non-threatening presents for non-church families. 15. They aid literacy (they are books! ); Christian books have the added bonus of a spiritual dimension. 16. Children desperate for an education can learn about God’s love while they read. 17. Christian books make non-threatening gifts where spiritual input may otherwise be impossible. 18. Reading a Christian novel with your children is great for bonding. 19. You can discuss biblical issues that Christian books bring up, helping you to fulfil your duties as a Christian parent/grandparent/teacher! 20. Christian books can sow seeds that will bear fruit in years to come. 21. Not all books out there are helpful – Christian books are a fabulous alternative. 22. Christian books bring up current issues, such as modern day slavery, from a Christian perspective. 24. 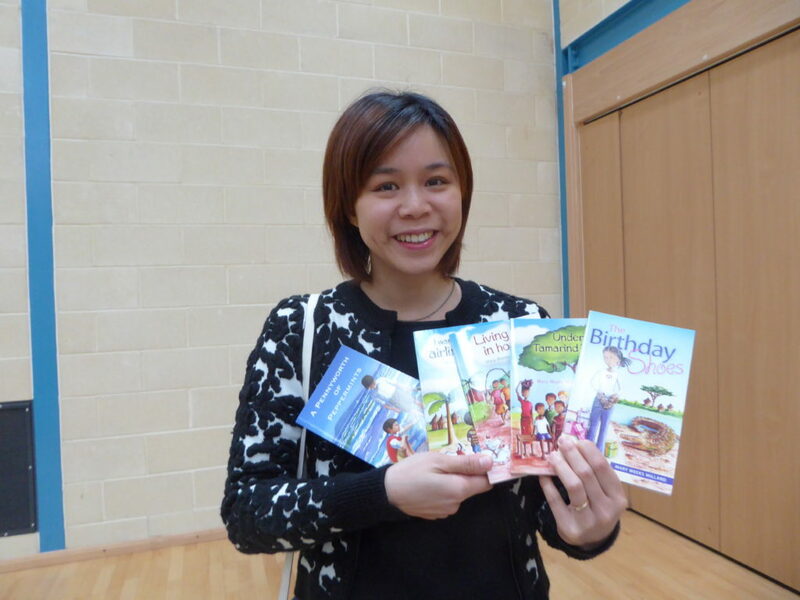 We have received many testimonies of how our books have touched lives – some children are drawn to Christian books. 25. Every child is precious, and should have a chance to hear the good news in a way that is relevant to them. ← One month ago it was nearly Christmas!